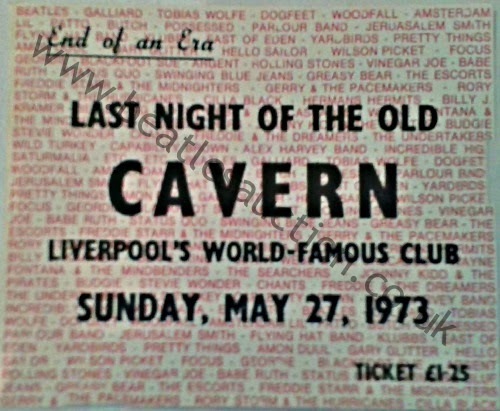 Liverpool Beatles Auction: A Ticket to the end of the Cavern Club. In 1973 the original Cavern Club closed it's door for the final time. Before it did there was one one last night. This ticket got you in to see the six bands on the bill. 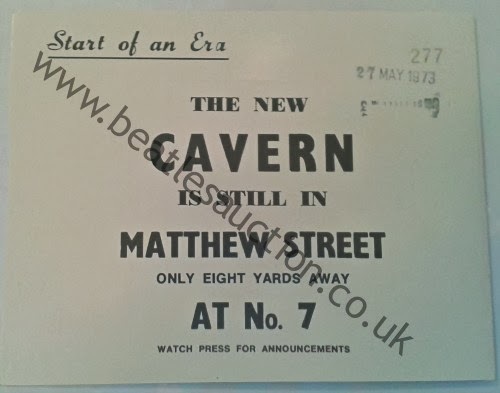 The back of the ticket announced that the new Cavern was opening across the road. The ticket is going up for sale in our annual Liverpool Beatles Auction next August and carries an estimate of £90-£120.